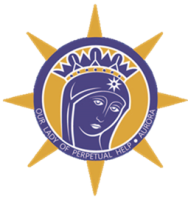 The Parish School of Religion (PSR) aids families in the faith formation of your children. We are grateful to be in partnership with your children's education and faith formation. This inter-generational program is designed to assist families who are home-schooling their children in faith formation. The Directory for Masses with Children recognizes the difficulties children face as they attempt to participate in liturgical celebrations, whose words and symbols speak effectively only to persons of considerable maturity. We are happy to offer Children’s Liturgy of the Word during the 11:00 a.m. Mass. The children leave Mass during the Liturgy of the Word (about 15 minutes), and return during the offertory. A high energy, fun, faith filled week held in June for children ages four through fourth grade. With ongoing conversion, there needs to be ongoing adult faith formation. More specifically, the disciple of Christ is continual need of revealed truth and life-giving grace. This is why the U.S. Bishops remind us that "adult faith formation must become our chief catechetical priority." Christian Initiation of Adults is for anyone who would like to learn more about the Catholic Faith. The RCIA process attempts to meet the individual based on their particular needs.